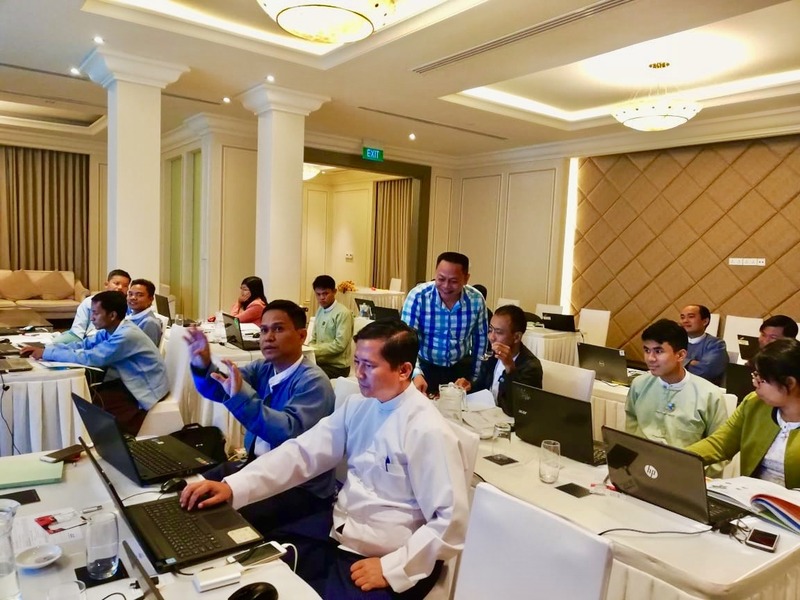 The Geographic Information System (GIS) training, which took place from the 19th-20th of November in Nay Pyi Taw, was conducted as a follow up activity to the Myanmar hydropower Strategic Environmental Assessment (SEA) which ICEM completed on commission from IFC earlier in 2018. 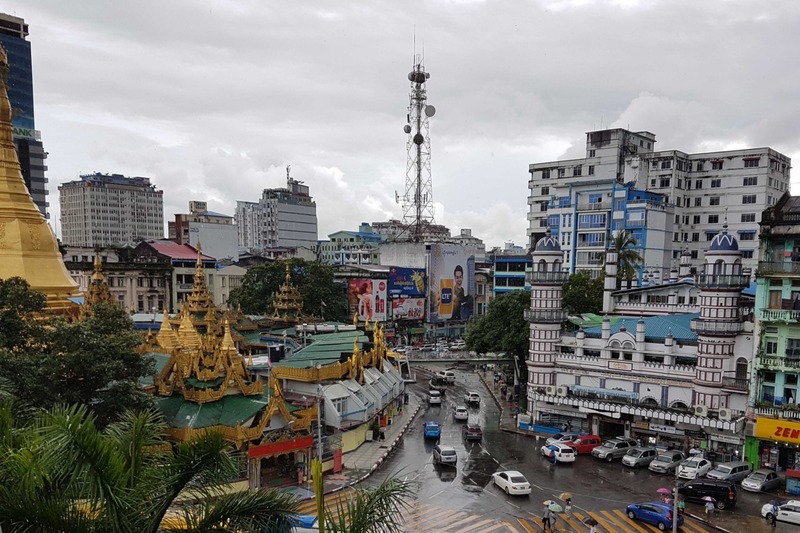 The outcome of the SEA included several reports detailing the environmental and social implications of hydropower development in Myanmar and a Sustainable Development Framework implementation plan for the sector with practical recommendations. The training course provided an additional level of technical support to complement these knowledge products. The goal of providing GIS capacity building is to build on the SEA process and results, and provide relevant Myanmar government ministries with the tools to conduct similar analyses and better plan for future hydropower projects not included in the 2018 SEA. The training involved technical staff from the Ministry of Electricity and Energy (MOEE) and the Ministry of Natural Resources and Environmental Conservation (MONREC). Participants learned how to perform basic functions of GIS along with their application to the SEA analysis and hydropower dams. The training included presentations, guided exercises, and group exercises. Other practical GIS applications were presented as well, including using cell phones as a GPS tool to collect spatial information in the field. On the 4-6th of December 2018, the Inya Lake Hotel in Yangon hosted the 6th annual Greater Mekong Forum on Water, Food and Energy. 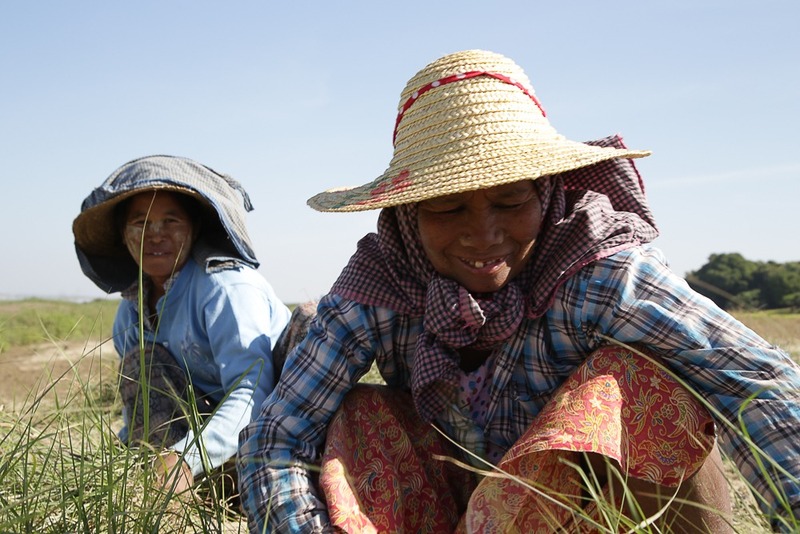 This year, around 30 organizations held sessions on a diverse range of topics, from smart innovations for better decision making in Deltas from the Delft University of Technology, Improving Forest-Fungi Systems Agroforestry from the Kunming Institute of Botany, to cross-border water cooperation through sub-national and community-led initiatives in the Ganges and Mekong basins from Oxfam. Hydropower was a recurring theme – from Oxfam’s session about civil society perspectives of the Strategic Environmental Assessment of Hydropower in Myanmar to a session from Spectrum SDKN about Gender and Resettlement at the Upper Paunglaung Relocation Villages in Myanmar. This year, ICEM hosted a session under the sub-theme ‘innovative water governance’ on the role of environmental assessment tools in achieving sustainability and resilience in river basin development. 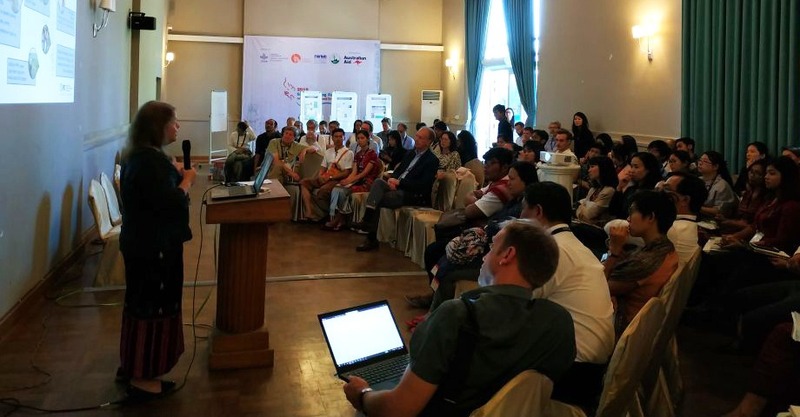 Three studies were presented: the SEA of hydropower in Myanmar, SEA of the Lancang-Mekong river development plan, and the ESIA of river training works on the Ayeyarwady, downstream of Mandalay and a panel debate with three regional experts. The presentations aimed to answer three key questions: what lessons can be drawn from these studies to guide future SEA/ESIAs, what are the outstanding issues for resolution and concern, and what are some priority developments which would benefit from these assessment tools. There was great audience participation and enthusiastic discussion, with a key takeaway being the need for greater, and meaningful participation of local people. Final Report of the Strategic Environmental Assessment (SEA) of the hydropower sector in Myanmar is now available. 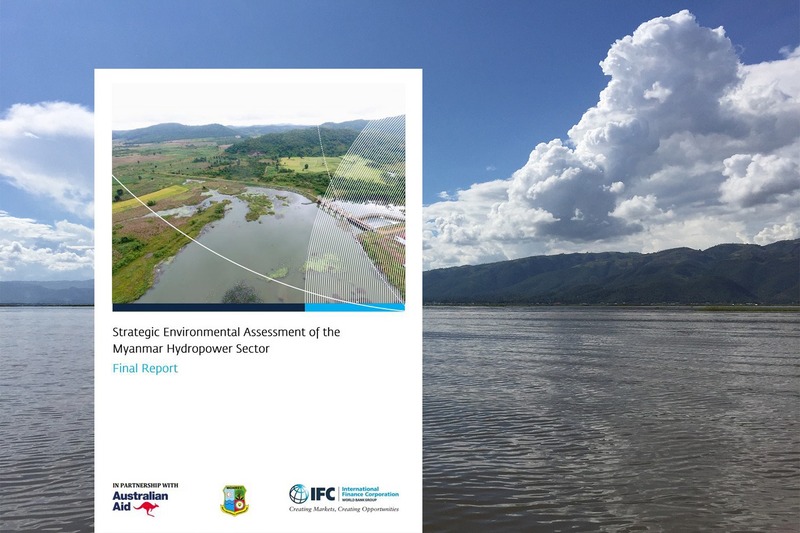 This report – the culmination of work which has been ongoing since 2016, outlines significant environmental and social issues, analyses sustainability requirements for each major basin in Myanmar, and provides a Sustainable Development Framework implementation plan with practical recommendations for hydropower policy, design, planning, siting, implementation and management. To meet crucial development, inclusion and environmental goals in low-income countries and emerging markets, investment in large infrastructure is critical. 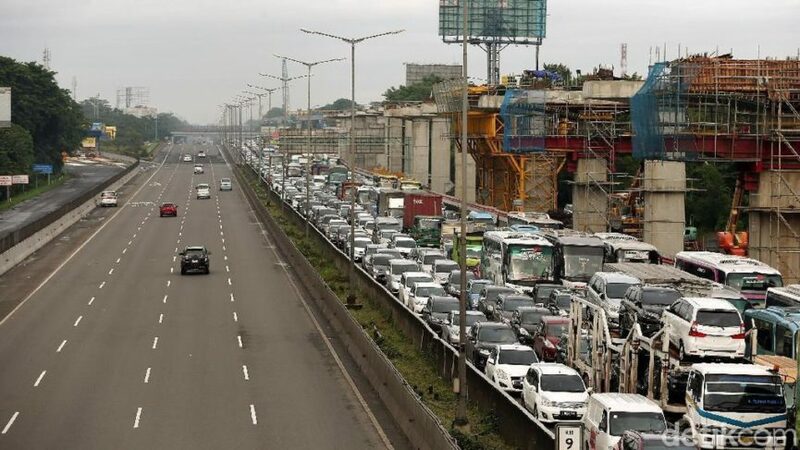 The Asian Development Bank (ADB) estimated in 2017 that the developing Asia needed to invest around $26 trillion from 2016 to 2030 ($1.7 trillion annually) in transport, power, telecommunications and water and sanitation infrastructure to maintain current levels of growth. To increase knowledge on the risks of climate change to critical infrastructure in South and Southeast Asia, and to build a better understanding of the actions and innovations necessary to build critical infrastructure resilient to climate change, the ADB has commissioned TA 9191: Building Climate Change Resilience in Asia’s Critical Infrastructure. The project is being carried out by a joint venture between ICEM – International Centre for Environmental Management, the Asian Disaster Preparedness Center (ADPC), and Philkoei International. 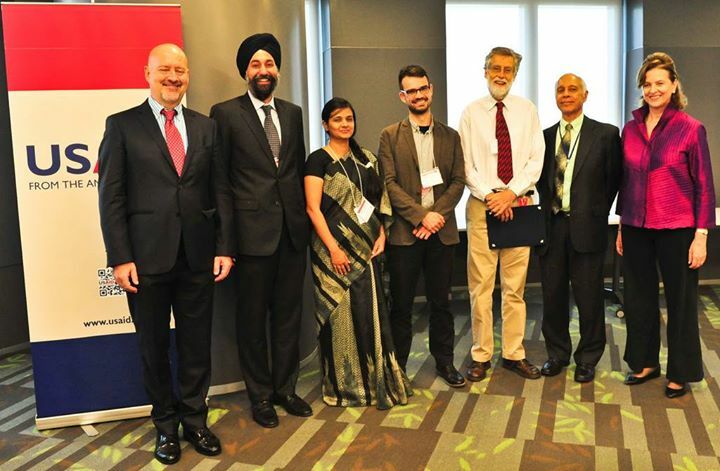 The project supports ADB’s effort to scale-up climate-resilient investments in its developing member countries (DMCs). The project team recently undertook its first consultation mission to Indonesia, one of the project’s three pilot countries, to engage relevant Indonesian government agencies and to refine the scope of work in the country. 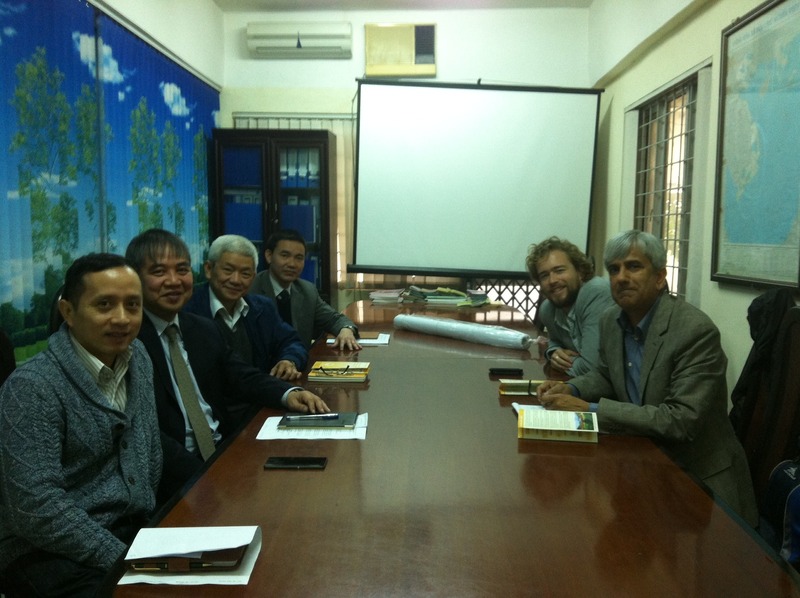 The team met with various government agencies, institutes and organizations to secure their involvement, including the Ministry of National Development Planning (BAPPENAS), Ministry of Energy and Mineral Resources (MEMR), Ministry of Public Works and Housing (MPWH), Meteorology, Climatology and Geophysics Agency (BMKG), Ministry of Environment and Forestry (MFF) and National Agency for Disaster Management (BNPB). 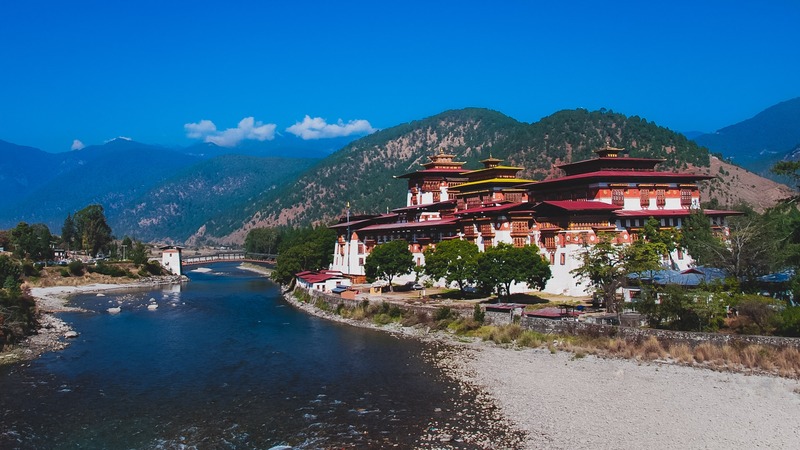 Building on an already extensive track record of experience in South Asia, the ICEM project portfolio in the region has recently expanded with two more projects, building on experience in Nepal and now also including Bhutan. 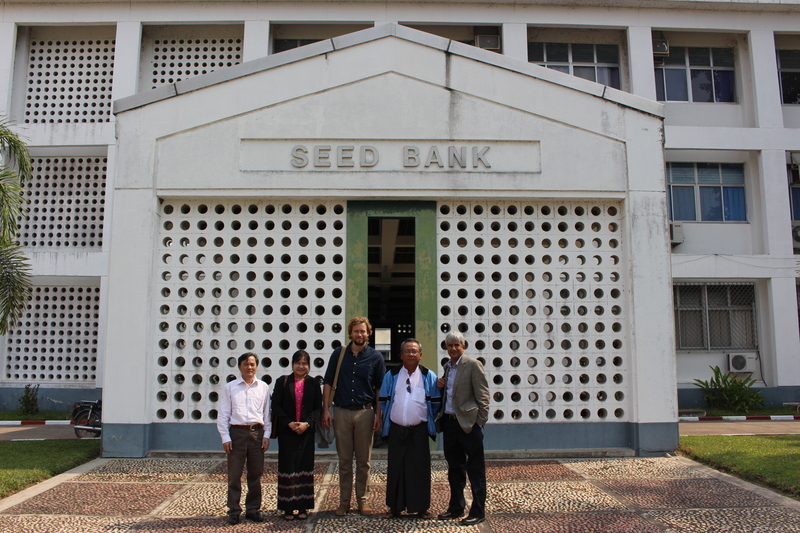 ICEM also added one more project to its current portfolio of projects in Myanmar. 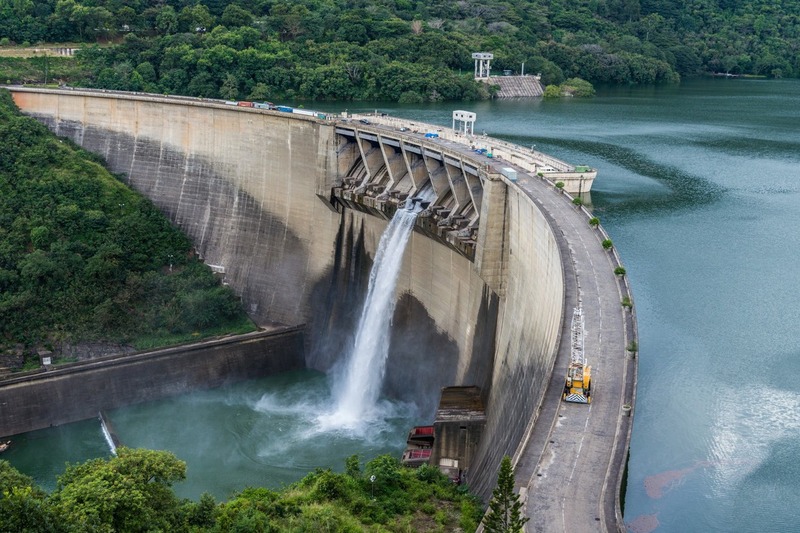 The Strategic Environmental Assessment (SEA) of the hydropower sector in Myanmar, draft Final Report is now available for review and comment. The SEA focuses on the country’s hydropower potential while mapping out environmental and social complexities. 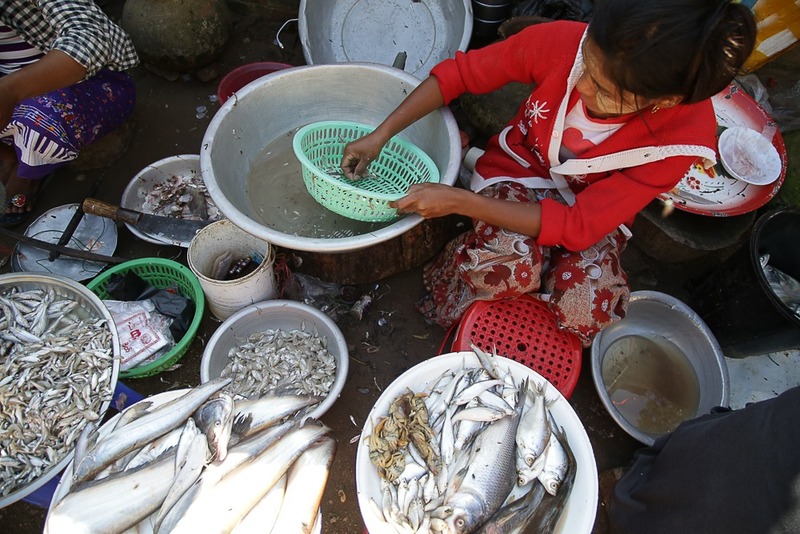 The SEA will identify opportunities to sustain natural river basin processes that regulate and maintain river health and other ecosystems services. 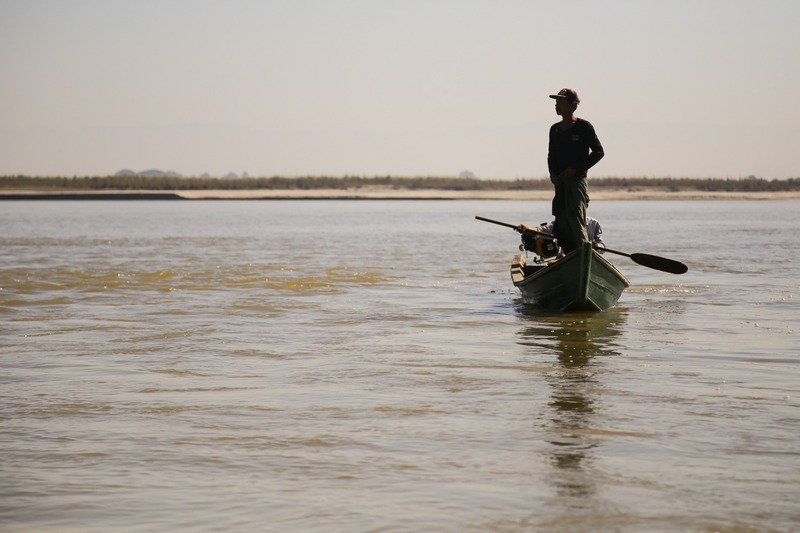 A key recommendation outlined in the SEA is to preserve the mainstems of Myanmar’s key rivers, including the Ayeyarwady, Thanlwin and Chindwin, encouraging decision makers to explore locations that carry less environmental, social and cultural risk. 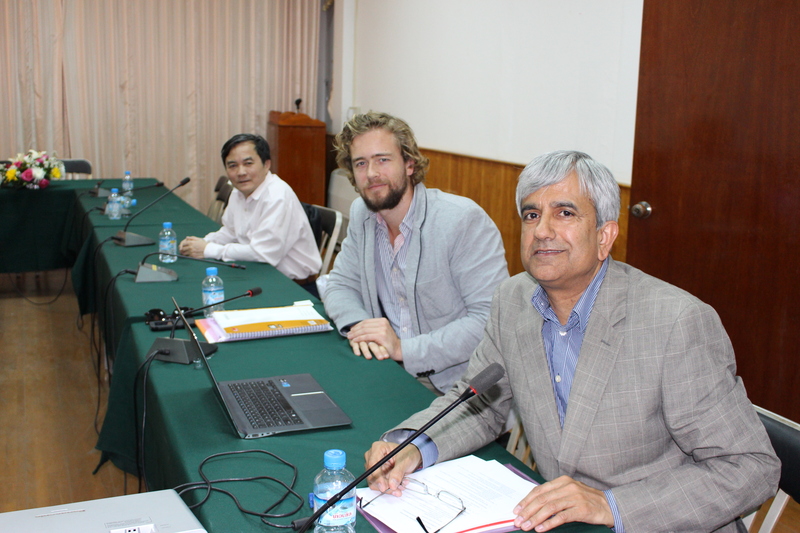 Once finalised, the SEA Final Report will be published online in English and Myanmar. A concise summary will also be made available in select ethnic languages. 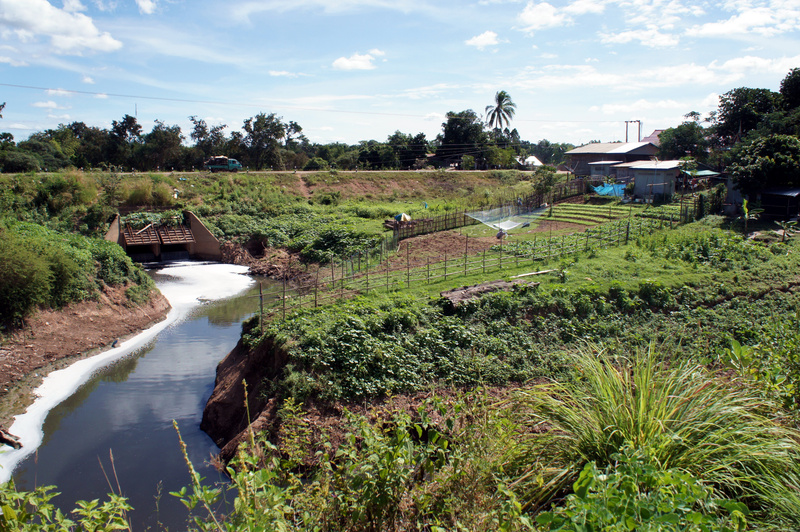 The project is part of the World Bank funded Ayeyarwady Integrated River Basin Management Project (AIRBMP), which aims at finding and implementing technical and operational schemes for making improvements of the navigability of the Ayeyarwady River Basin. 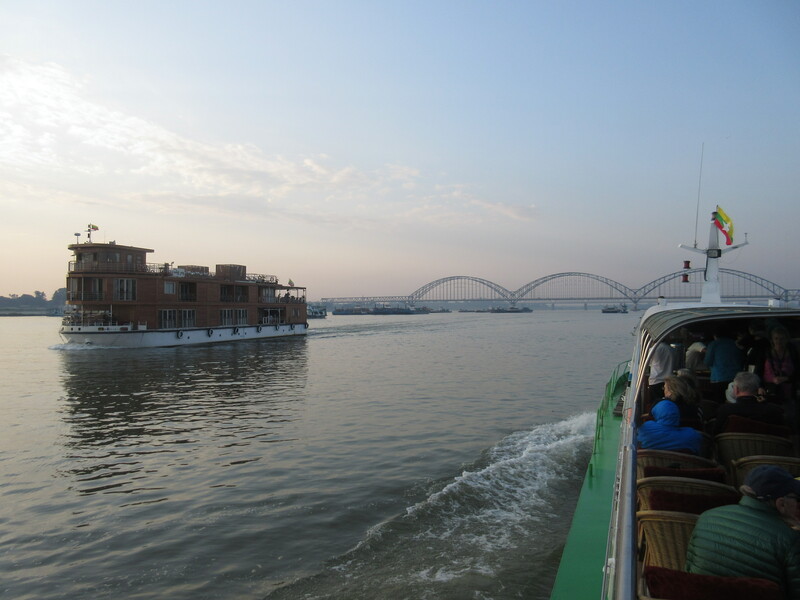 The goal is “to improve inland water transport in priority stretches of the Ayeyarwady River and design a cost-effective and environmentally and socially acceptable strategy for managing the full length of the navigation channel”. 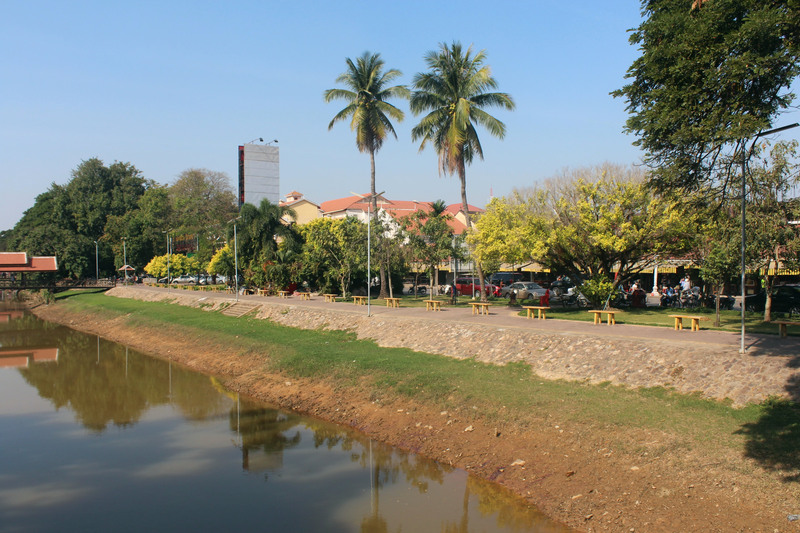 Public consultation for the draft ESIA and ESMP for Subproject 1 will take place on Thursday, 18 January at the Triumph Hotel in Mandalay at 08:45 am. Outline next steps in relation to the implementation of the Draft ESIA/ESMP and Subproject 1. 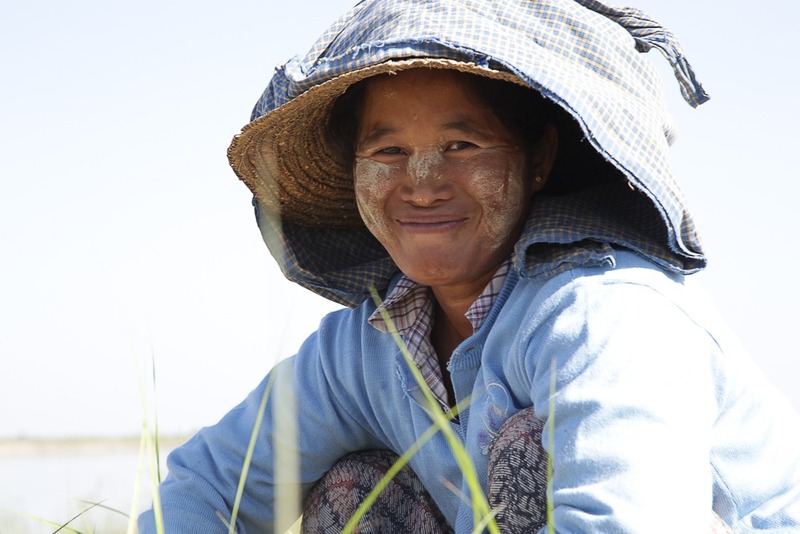 Approximately 15.4 million people, just under 30 % of the population of Myanmar, live in Myanmar’s Dry Zone. 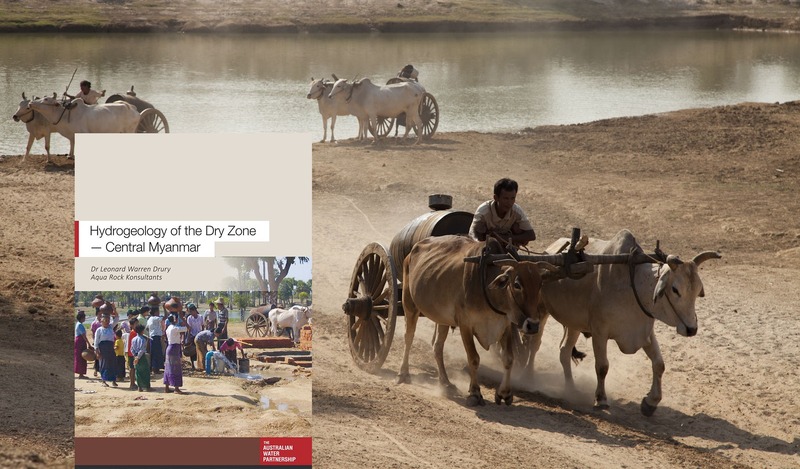 Most villages, towns and cities rely on groundwater for potable water supplies, and away from the Ayeyarwady River and tributaries, the Dry Zone is extremely short of water. Villagers without tubewells travel great distances to collect small quantities of water from shallow dugwells and polluted earth ponds. 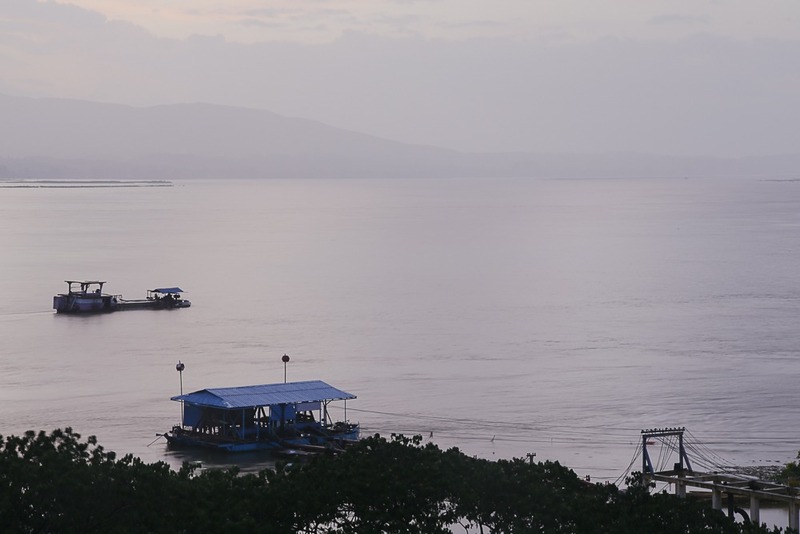 New data on key infrastructure, social indicators and environmental issues are being gathered and updated for the Ayeyarwady River between Mandalay and Nyaung Oo. 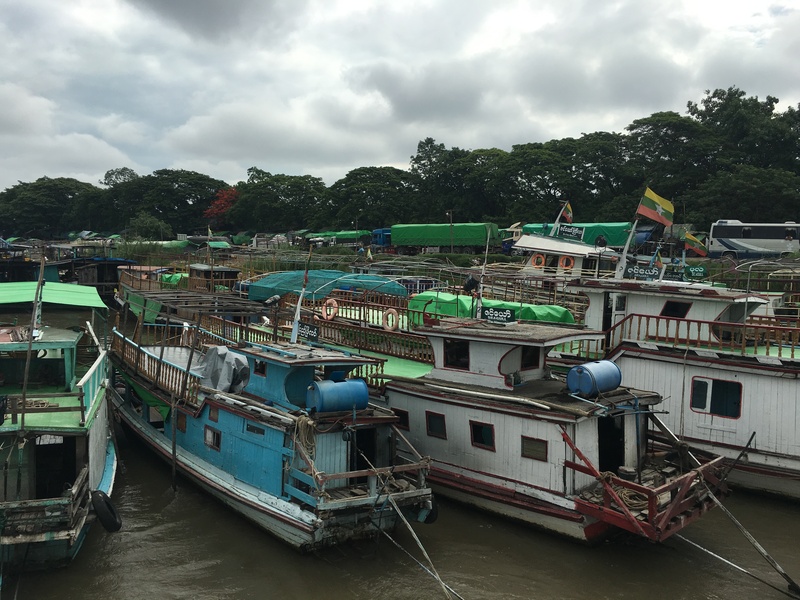 The data will contribute to an environmentally and socially acceptable strategy for managing the future development of inland water transport (IWT) in Myanmar. 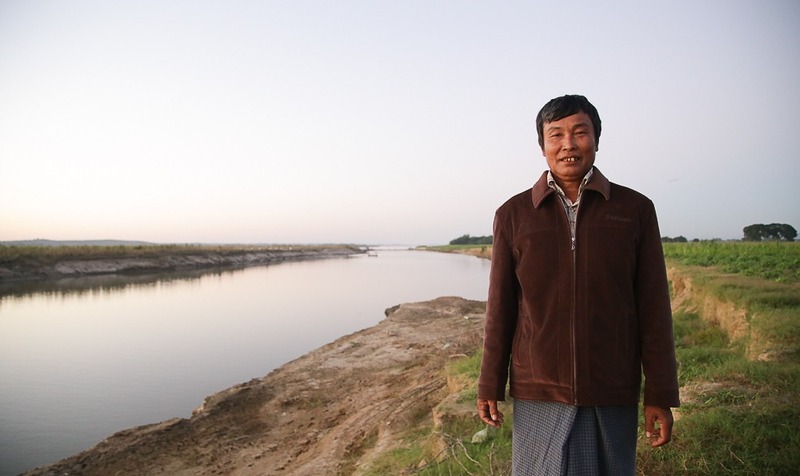 "I have seen many changes in the river since I was young," said Pham Maw, a resident of Sein Pan Kone in Northern Myanmar. 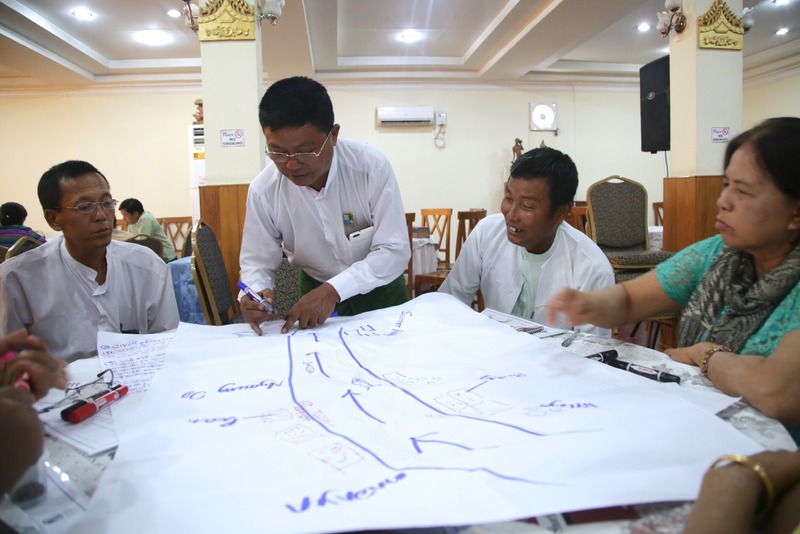 Pham Maw was one of the stakeholders who recently participated in workshops where views on the state of two of Myanmar's key rivers, and how they should be managed, were shared. ICEM Visits Fishing Villages in theAyeyarwady Delta In March of 2015, ICEM Environmental Scientist Luke Taylor and partners on the Myanmar Healthy Rivers Initiative toured the Ayeyarwady Delta to speak with fishing villagers and gather local knowledge and experience from those living closest to the river. 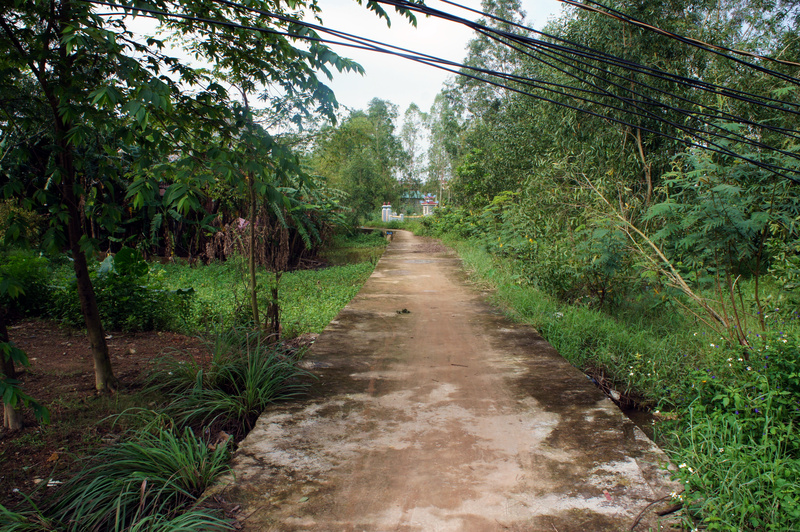 Biochar Project Begins with Rapid Tour of GMS Countries ICEM's Biochar team has kicked off the project with a tour of the region's six participating countries to perform the project's rapid fire assessment of biochar potential in the GMS.